Looking for a something fun to give your Valentine? Who wouldn't like this cute Valentine gumball machine? Last week I showed how to make subway art with PicMonkey (Go here for that tutorial) so today I have a another PicMonkey tutorial on how to make labels. 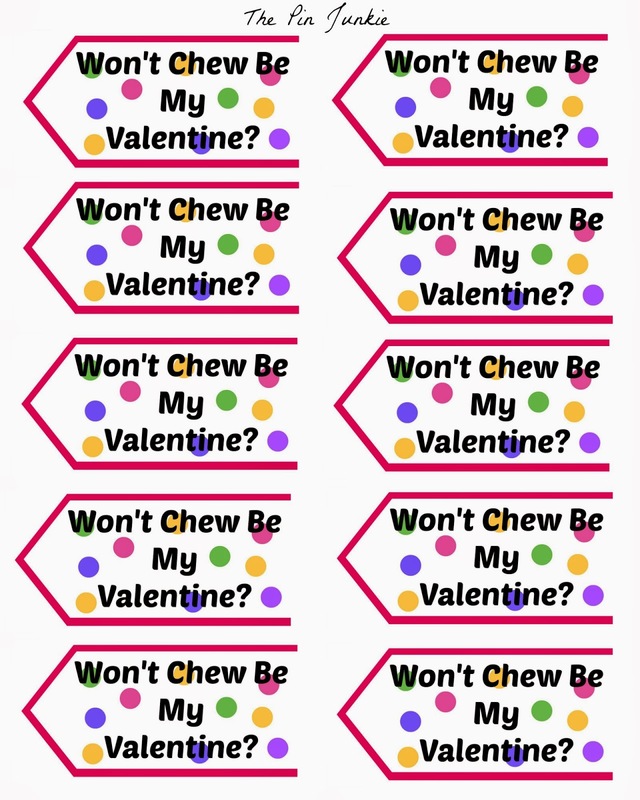 You can make these labels for Valentine's Day, but don't stop there! You can make labels for everything and every occasion with PicMonkey! I love PicMonkey because it's really easy and fun to use. Best of all it's free! I use PicMonkey for editing pictures but you can do so much more with it like making your own printables. 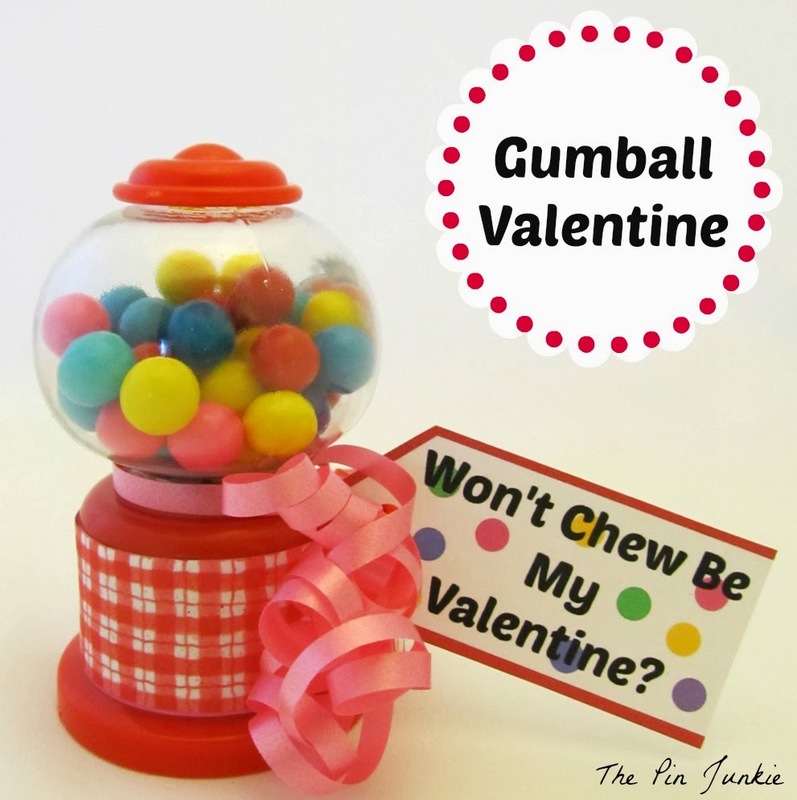 I've seen these cute little Valentine gumball machines all over Pinterest and used PicMonkey to make my own tags. Start by going to PicMonkey. It's free! Select the butterfly in the menu on the left side to choose an overlay. Choose any shape you want your label to be. You can also change the color. I used two overlays, one on top of the other. Now select "Tt" for text and type what you want on the label. You can also select the font you want to use. I also used overlays to add some circles to look like gumballs. I changed the size to make the circles smaller and changed the color. Right click on the circle and selected "duplicate overlay" from the pop up menu to make lots of circles that are the same size. Change the color of them too. Then select "crop" on the menu bar and crop the tag. It will be too big, so resize it to something smaller. Save it as a .jpg or .png file (your choice). Then open the picture file in a word document and print them out. You're welcome to use my tags if you want. But be sure to visit PicMonkey to see what creative things you can make! PicMonkey is a great place to get creative because there are so many things you can do with it besides editing photos. If you've never used PicMonkey before, I hope you'll give it a try. I love this! It reminds me so much of my mom, she collects gumball machines! I also love the printable. I did not know you could do all that with PicMonkey! Thanks for sharing. Stopping by as co-host of Homemade link Party. I love gumball machines and did not consider to use PicMonkey to make labels so thank you for that. You're welcome Sue! I love PicMonkey and I'm always looking for new ways to use it. These are cute! I recently discovered PicMonkey so I'm loving learning how other people use it. Thanks for linking up to the Bloggers Brags Pinterest Party. I have pinned your post to the Bloggers Brags Pinterest Board. These are darling! And thank you for the PicMonkey tips. I am fairly new to using it and did not realize how much you could do with it. Picmonkey is such a good site. I use that to alter just about all of my images! I didn't know you could do this with it though! Thanks for sharing this with us at Countdown in Style too. I use PicMonkey a lot too. I love that it's so easy to use! Pretty cute...and the label idea is a keeper! Thanks for sharing on the Thursday Blog Hop! Adorable tag and gumball machine too. I love this idea. Big fan of PicMonkey as well. Visiting by way of Carol's party over at The Answer is Chocolate. Happy Valentine's Day! Such a cute label! I love it! Thanks for sharing with SYC. Very cute idea. I didn't know you could do that with PicMonkey. Thanks for sharing and linking up with Countdown in Style. I'm glad I'm not the only one who didn't know how to do this on PicMonkey! I will definitely start using this! Thanks! adorbs!! Thanks for linking up eith #LOBS! This is adorable! And you're so handy with Pic Monkey. Am going to have to try this! Pinning to my Valentines Board. Thanks for sharing at All Things Pretty! So cute!! Thanks for sharing this at Take it on Tuesday! Thanks for this great idea, Bonnie! I love PicMonkey too! This may be a stupid question but how do you make the labels small and not "picture-sized". Do you use the pixel size and not the traditional picture sizes before you download? You can resize a picture or image in PicMonkey. Just use the menu on the left side. Go all the way to the bottom and click on the "Resize" button.